Tutorials and guides for adding email forms to your website. 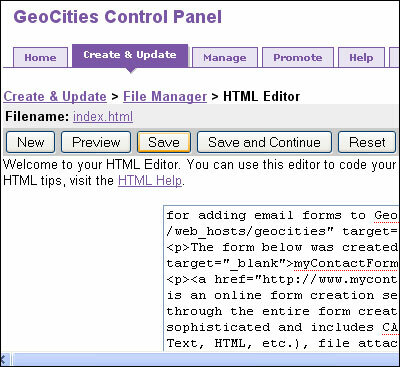 A sample form hosted on Yahoo! 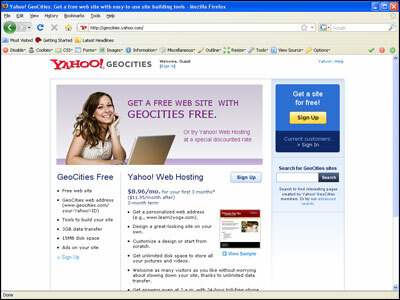 Geocities can be seen here. 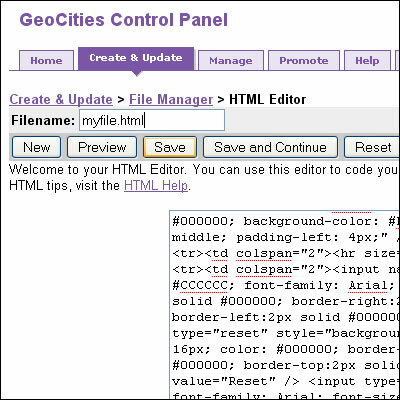 Before working inside of the Geocities interface, it is important to first design and generate your form's HTML code using a free service like myContactForm.com. myContactForm.com takes all of the technical difficulty out of building customizable web forms. We've written a tutorial for doing this, here. 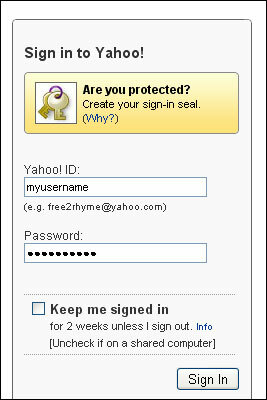 a. Login to your Yahoo! Geocities account. Note: If you would like to insert the form HTML into an existing file, skip ahead to Step 4.
c. Move the cursor to the spot in the content box where you would like to insert your email form. 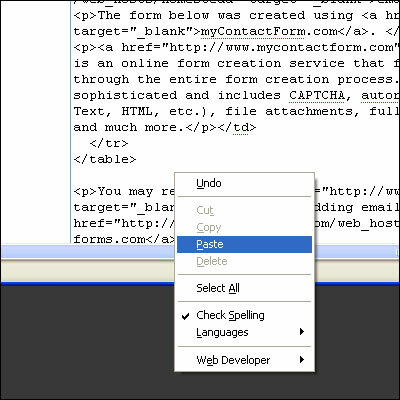 d. Paste the form HTML into the HTML Editor window (Edit > Paste, or CTRL+V, or Right Click and Select Paste). e. Type in your Filename: and click the Save button. 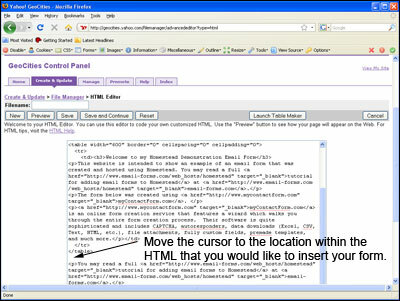 Note: If you added your form HTML in Step 3, you may skip Step 4.
e. Click the Save button. Our final step is sending a test submission through to ensure that everything is working properly. Open a web browser and go to the web page containing your form. Fill out the form and press the submit button to test it. A demonstration form hosted on Yahoo! Geocities can be seen here. © 2019 Mise en Web LLC. All Rights Reserved.